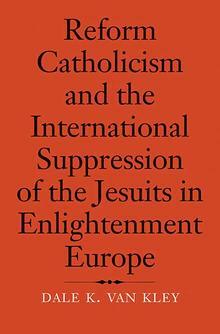 An investigation into the role of Reform Catholicism in the international suppression of the Jesuits in 1773 ? The Jesuits devoted themselves to preaching the word of God, administering the sacraments, and spreading the faith by missions in both Europe and newly discovered lands abroad. But, in 1773, under intense pressure from the monarchs of Europe, the papacy suppressed the Society of Jesus, an act that reverberated from Europe to the Americas and Southeast Asia. In this scholarly history, Dale Van Kley argues that Reform Catholicism, not a secular Enlightenment, provided the justification for Catholic kings to suppress a society instituted by the papacy. Spanning the years from the mid-sixteenth century to the onset of the French Revolution, and the Jesuit presence from China to Brazil, this is the only single volume in English to make coherent sense of the series of expulsions that add up to what was arguably the most important religious event in Europe of the time, resulting in the secularization of tens of thousands of Jesuits. Détails : Yale University Press, 2018.38$ Dale K. Van Kley, who taught at Calvin College until 1998, is professor emeritus of early modern European history at the Ohio State University. Error: Error validating access token: Session has expired on Friday, 05-Apr-19 10:44:13 PDT. The current time is Tuesday, 23-Apr-19 13:39:47 PDT.